www.afistfulofpolys.com | Neil Parkinson's personal website showcasing his animation work. Neil Parkinson's personal website showcasing his animation work. I’m an animator who has been working in the industry for 16 years. I’m currently working at Space Ape Games as a senior animator. I started out working in the hand drawn animation industry, cutting my teeth with assistant and clean-up work on TV series and pop promos before making a jump into 3d animation. Amongst other things in my own time I have been developing an animated western project which I actually started whilst at college. 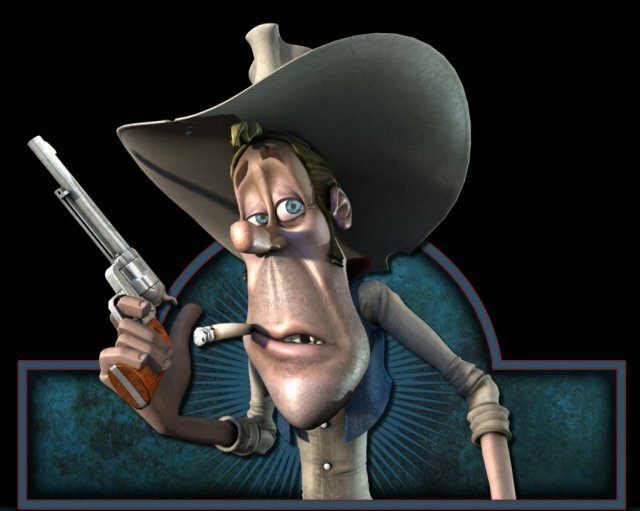 All the western characters featured on the website have been designed, built, rigged and animated by myself. I recently completed work on a series of 3 children’s educational books as an illustrator. The series is called Time Travelling Toby and is about a boy and his two brothers who have a time travelling car as they visit moments in history.